Hagiography is the curse of the Australian Labor movement. It is a movement that searches for, and craves, mythical figures and myths. Such a phenomenon might be termed mummification, and detracts from closer examination. 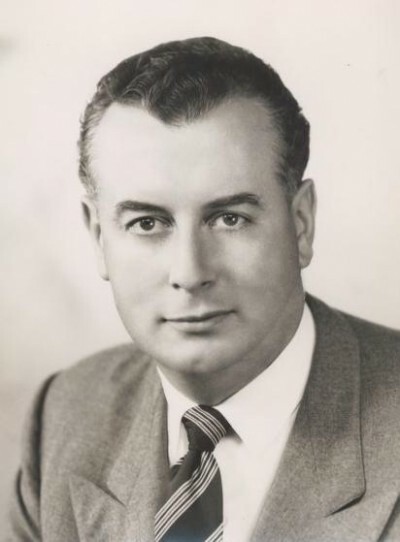 There is no greater mythic hero for that tradition than Gough Whitlam, who died at 98. In his brief period as Prime Minister, between 1972 and the infamous dismissal by the Governor-General in 1975, Australia nudged its way into something akin to revolution. On November 13, 1972, Whitlam’s Labor policy speech at Blacktown Civic Centre emphasised the importance of the electoral decision to be made in December. Whitlam’s victory stirred the Australian beast from what amounted to a colonial slumber, its cradle all so comfortable and comforting. In the words of former Australian Prime Minister, Paul Keating, “He snapped Australia out of the Menzian torpor – the orthodoxy that had rocked the country asleep, giving it a new vitality and focus.” Suddenly, a sense of geography was instilled – a location in the Asia Pacific, an awareness of its historical links with empire, but also with neighbours. His domestic policy saw Australians obtain free education, a version of universal health care, the recognition of indigenous title exemplified by the handing over of deeds to part of the traditional lands of the Gurindji people at Wattie Creek. The Racial Discrimination Act was passed; no-fault divorce laws were enacted. In foreign policy, he recognised Communist China and withdrew troops from Vietnam. But other features of his policies tend to be skirted over. Labor’s tradition of suicidal dysfunctionalism was established with ominous vengeance. Whitlam ran into budgetary problems, with the conservative opposition blocking moves for supply. The argument being made there was that Whitlam, with his ministers, had been rather cavalier with the purse and various financial dealings. The Khemlani loans affair, involving attempted borrowing of funds from Middle Eastern sources without the approval of the Loan Council, ostensibly to fund infrastructure and energy programs, cost him heavily. Ministerial heads began rolling. There was also the “Iraqi money affair” in 1975, occasioned by a donation from Saddam Hussein’s Baath Party in Iraq for the election campaign. The equivalent of $2 million in today’s money never made it to Labor hands – it was stolen on its transfer route by an intermediary. This is where the hagiography breaks down, dissolving before the pragmatic self-interest that comes with political survival. In a meeting between the now opposition leader, Whitlam, with United States ambassador, James Hargrove, on February 27, 1976, the ex-prime minister revealed how he had been “aware of the efforts to secure funds from Iraq”, being prompted by such figures as the leader of the Victorian ALP, Bill Hartley. Such moves enraged the then ALP president Bob Hawke, described as “a pro-Israeli fanatic”. Indeed, the Hawke angle on this is often neglected, lost as it were in the ceremonial tribute to the Whitlam shrine. While Whitlam stumbled, another future prime minister was sinking a series of unsheathed blades into his leader. Hawke would make regular trips to the US consulate in Melbourne, happy to term Whitlam “politically crazy”. His approach to Israeli and Middle Eastern issues were deemed “beyond belief”. (The consulate document takes issue with Hawke’s language, which were found “not suitable for [a] family newspaper.”) That Middle Eastern policy had seen an erosion of funds from the Jewish base. But it also suggested that the ALP was always happy to keep Washington in the loop about its own internal dysfunctions. Hawke was merely the first in a long line, showing passing deference to a tyrant wife. Questions are now being asked whether a similar, Whitlam-like figure would be fighting the wars of an obedient vassal, running with a child-like thrill into every distant conflict waged at the behest of empire. The question is a moot one, but is doing the rounds with flighty wings. Certainly, Whitlam did express understandable agitation at the role being played by US bases on Australian soil. Pine Gap had become a stain and target of Cold War fears, and Washington was hardly going to let the cat out of the strategic bag. Australia was growing up, and this was proving troubling. Robert Lindsey’s The Falcon and the Snowman makes no bones about it. The election in 1972 of the Australian Labor Party after years in the wilderness of Cold War exile did not cheer the American intelligence community. “The [CIA] feared that a left-leaning government in Australia might reveal the function of the bases or, worse, abrogate the agreement and close down the facilities.” Keeping Malcolm Fraser’s government-in-waiting on call was certainly very much in Washington’s purview. Where the hagiography struggles to get to grasp with Whitlam are the other, darker chapters of the foreign policy portfolio. Portuguese East Timor was steamrolled by a militant Suharto regime, and while Australia’s role in preventing the subsequent calamity was always going to be minor, its silence on this was deafening. Australian intelligence officials had uncomfortably intimate knowledge of the impending Indonesian invasion. But Whitlam preferred to see East Timor integrated into Indonesia, a policy of “obeisance” as opposed to self-determination. The territory was doomed to Australian indifference. Histories strewn with the cloying language of martyrdom are not particularly insightful ones. But it says much about Whitlam that he managed to exert the hold for so long. To a large extent, the 1975 dismissal caused a good deal of the progressive movement to go into mourning. With such dashed hopes, Australia returned to a fairly dour conservatism that, in general, characterises it today, an attitude of affluence and fearful wonder at the outside world. It is a fear expressed as a concubine’s loyalty and the need for security, a variant of spreading one’s legs for empire. The election of Fraser in a 1975 landslide doubled up as a confession and seal on the part of the Australian electorate. Reform had proven, to a large extent, indigestible. The world of Prime Minister Tony Abbott is, in truth, one of reversal – a return to the cradle, to the slumber, to a loss of memory. If conservatism suggests, as Whitlam himself claimed in his book on the years in office, a base pessimism, with reform being optimistic, then the forces of pessimism have the upper hand – at least for now.